Reclaimed wood is an excellent way to add to add charm, warmth, and character to your home that is also easy on the environment. Reclaimed wood is an excellent way to add charm, warmth, and character to your home that is also easy on the environment. Shows like HGTV’s “Fixer Upper” have used reclaimed wood as building material, and “Better Homes and Gardens” has featured ways to incorporate reclaimed wood into your interiors. No matter your personal decorating style, you’ve probably encountered a few ideas you’d like to try for using reclaimed wood in your own home in home decorating magazines or on Pinterest boards. Now you’re ready to get to work. But how do you get your hands on reclaimed wood? While the exact answer depends on your city or region, you won’t necessarily have to go out and tear down a barn to get beautiful reclaimed wood (but you can if you want - see #5!). Check out your local versions of the following sources to see if they can supply the reclaimed wood you want for prices that are easy on the wallet. Thanks to our increasingly global economy, shipping goods by boat is as popular now as it was decades ago. This is good news for you if you’re looking to get your hands on reclaimed wood, as shipping crates are often made of beech wood. Call or pay a visit to your local port authority or shipyard to see if they have any shipping crates they would be willing to sell, or if any local companies are selling unused shipping crates. Landlocked states aren’t necessarily at a loss – distribution centers may also have pallets they are unable to use again. A note of caution: be sure to ask for shipping crates that have not been chemically treated and have not been used to transport chemicals. These toxic chemicals are not safe to use without proper equipment, and could potentially harm your health. 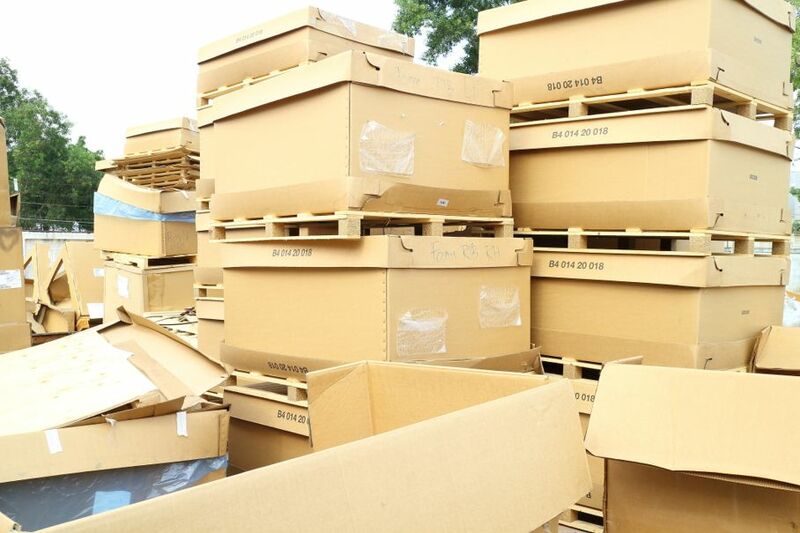 When businesses go under or find themselves with old equipment or materials they can’t reuse, they often turn to salvage yards to dispose of these materials. 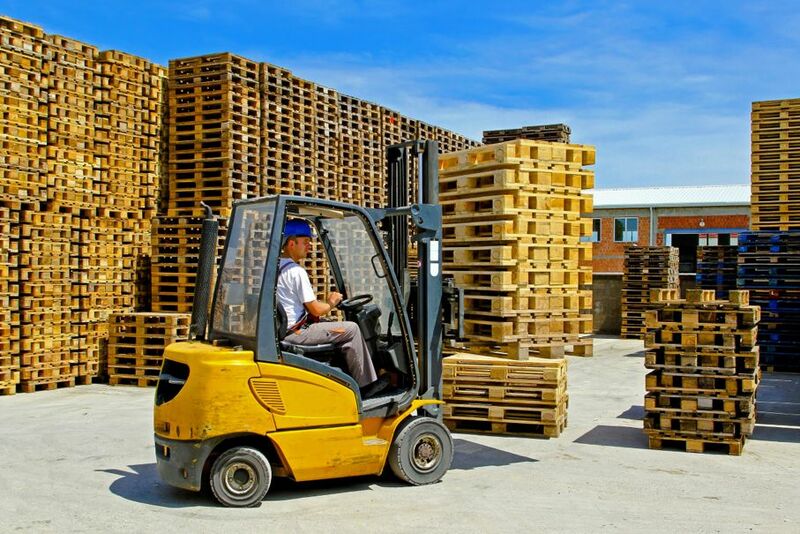 Pallets used in delivery to smaller businesses and companies may end up here, as well as wood from storefronts, billboards, or even church pews! Google salvage yards in your area and give them a call. Even if they can’t help you, they might be able to point you in the right direction. 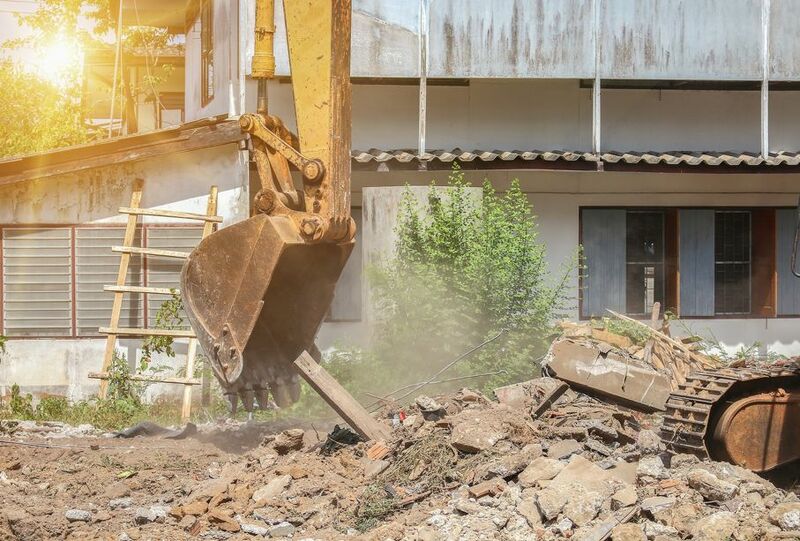 If farmers or developers find themselves saddled with a dilapidated barn or wooden buildings on property they want to use, they often call an excavation company. These companies specialize in dismantling buildings and removing their materials so the land can be utilized for other projects. Find excavators in your area and contact them. Let them know you’re looking to recycle and reuse old wood, and ask them to call you before they begin an excavation project. It’s a win-win situation: the excavation company has less wood to dispose of, and you get reclaimed wood without having to worry about other materials. Remodeling contractors are also good sources for reclaimed wood, especially if you live in an area where there are lots of older homes and buildings for sale. These contractors have to remove outdated or out-of-code materials, and usually you can get reclaimed wood for free if you ask a contractor to contact you when they are remodeling an old home or building. Make sure to let the contractor know that you only want the wood - no drywall, no insulation, just the wood. If you find yourself getting other materials, start charging a disposal fee. While not all the wood you receive will be usable for a reclaimed wood accent wall, you can still use it for smaller projects, or as firewood to sell or use yourself. If you don’t mind getting your hands dirty and you like the idea of getting reclaimed wood for free, you can always dismantle old barns and buildings yourself. Place an ad in the classifieds of your local newspaper, in print or online, letting people know you’ll pick up any unwanted or discarded wood. Include your email address and/or phone number, and mention you’re recycling the materials. You’ll be surprised at the number of calls you get! You’ll be helping someone with an eyesore or potentially dangerous building, and in return you’ll get as much reclaimed wood as you can haul away. Now it’s your turn: what’s your go-to tactic for finding reclaimed wood?